Ghostek a known name in phone case design has given a spartan render of the forthcoming 2018 Budget iPhone. Forbes revealed the render, and Apply validated that it is addressing the market demand that the company introduces an affordably priced smartphone that is very similar to the iPhone X. Unfortunately, the said smartphone will be unable to keep all the iPhone X’s exceptional attributes. Reports say that the low-cost iPhone will be tagged at a price at about $700. Interestingly, it will have the popular Face ID feature. The low-priced iPhone 2018 may be named as iPhone X SE or iPhone 9 will not be equipped with a dual-lens camera system like the iPhone X. Instead it will have a single lens camera with a 6.1-inch LCD display. 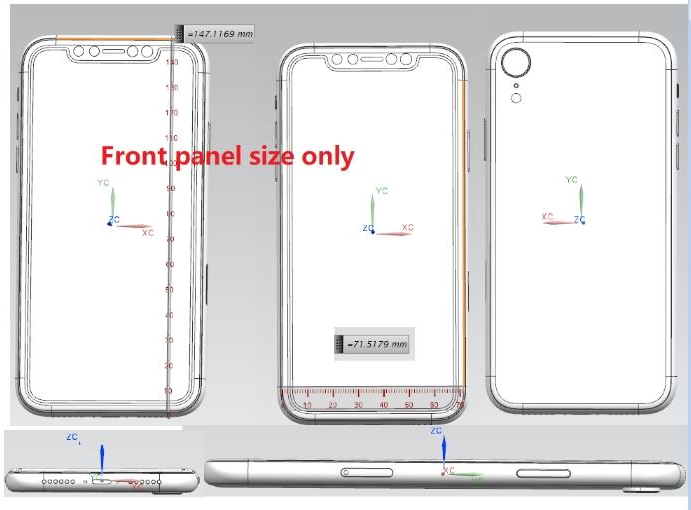 The precise measurements of the low-cost iPhone as circulated by the render is 147.12 x 71.52 mm. The indicated measurements are significant in making it easier for Apple to construct a 6.1-inch display on the said phone. This means that the cheap iPhone will be larger compared to the iPhone X. Recently, Apple began to endorse large displays on its phones. In the past, all the company’s phones until the iPhone 6 have sported small screens. Take for example the iPhone 5 and 5s along with the iPhone 4G had 4-inch and 3.5-inch screen displays respectively. Rumors similarly have it that the cheap version of the iPhone X (iPhone X SE) will not be built with a 3D-touch support. Also, Apple will be integrating a fast-charge wire support to make up for the elimination of all the other excellent features on their low-budget smartphone. Hence, Apple patrons alike may need to think twice if they would rather forego the phones premium features in exchange for paying a lower price. But for those who basically just use the iPhone for social media and a little internet browsing, the price along with the features will not matter much.